Laura is a Director on the Program Team. She works with financial service providers to develop products and services to promote financial health. Laura is enthusiastic about CFSI’s work with new and established providers and the potential for improvement and impact. Everyone interacts with financial services – whether they like it or not. 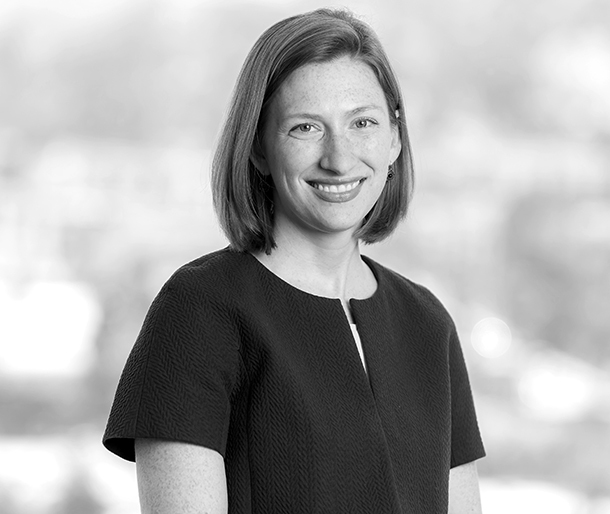 Prior to CFSI, Laura worked with large financial service providers on regulatory compliance and litigation concerns arising from the financial crisis. Laura holds an M.B.A from Georgia State University, an M.S in Accounting from Boston College, and a B.A. in Economics for Emory University. When not at CFSI Laura can be found with her husband and son taking advantage of yet another free event in DC. Laura believes that everyone can improve their financial health. Read this report to discover the four financial health needs that are especially relevant for small business owners and learn which innovators are working to support entrepreneurs’ financial health. This paper examines the connections, similarities, and differences between consumer financial health and the financial health of small businesses. Secured credit cards can limit service members’ financial vulnerabilities.